I have been writing, directing, editing and developing creative communications projects for more than 25 years. I have run the gamut from print journalism to online content creation to film, video and interactive, gamified learning experiences. I regularly assemble and lead creative teams to produce major projects on time and on budget. Also, that sketch to the right is from when I was 23. I thought you should know that. Some highlights from the past few years of writing for video games, interactive learning software and branded product presentations. For some specific market segments, be sure to see my pages on Kids/Educational, Healthcare and Film and Video Production. I also host the Mindset Digital podcast. Kinect Nat Geo TV blends world-renowned Nat Geo WILD TV show episodes with Kinect for Xbox 360, transporting kids and their families around the world, expanding knowledge and inspiring a sense of wonder and excitement. 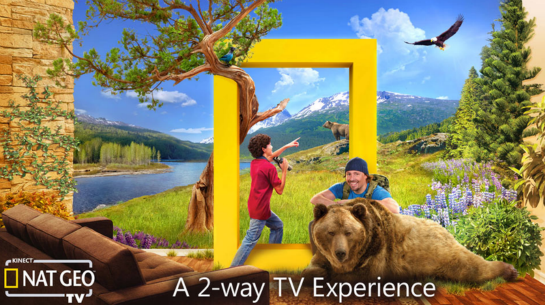 Engage, play and learn as Kinect Nat Geo TV turns your living room into an animal habitat and you into a variety of animals, such as a bear, without ever leaving your living room. 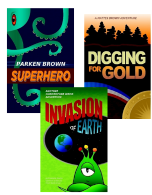 Read the reviews and learn more on my Kids/Educational Page. "Powerful tools to support struggling readers...Engaging animations introduce, explain, and demonstrate skills." SRA FLEX Literacy™ is a comprehensive Reading and Language Arts Intervention System for struggling readers, Grades 3 and above in Tier 2, 3, or 4. Built on a research-based instructional model to reach students of various reading levels, as low as Beginning Reading. Students are engaged as never before through high-interest interactive tools, technology, and rich text selections. Working with Clutch Interactive and the McGraw Hill Corporation, Pete scripted a series of 90+ short animated cartoons that preview each learning sequence with an entertaining short that lightly introduces students to the key concepts in the forthcoming unit. 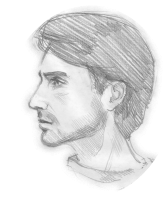 In addition to scripting, Pete worked directly with the animator, illustrators and voice actors on feedback and revision. The Blue Monkey Books project took the traditional idea of customizable children’s books – most often picture books in which a parent can have a child’s name, birthdate and hometown appear in the story, and expanded it exponentially. Parents answered a series of questions about their child's likes, dislikes, favorite foods and games, least favorite meals, friends, pets and so on. These details are then woven into a fully customized chapter book, resulting in a detail-rich, 10,000 word story in which their child is literally the story's main character and hero. The titles were then printed and professionally bound by an on-demand publisher before being shipped to the consumer. This project concluded in 2013, and is no longer available online. Scripted and provided on-set consultation for this special episode of Designing Spaces focused on Windows Media Center. Script called for an 'average' family taking a week-long “staycation” in a home fully outfitted with the latest Microsoft entertainment products, with a specific focus on Windows Media Center as the hub of the family’s entertainment experience. This program aired on TLC and other cable channels in 2008 and 2009. The NextGen Home Experience at the Consumer Electronics Show in 2007 and 2008 featured actor-led, room-by-room tours of a complete home, with each room highlighting different technology experiences. Scripting this experience required balancing the needs of an entertaining tour and specific scenarios, with contractural brand and product callouts in each room. Work on this project led to consultation with the Disney Corporation for the scripting portion of the Innoventions Dream Home attraction which opened in 2008. Honorary Doctorate (Doktora Gostya), Rostov State University, Rostov-on-Don, Russia, 1996. Ohio Society for Professional Journalists Awards, First Place, Best Human Interest Writing, "Bowling at 4 a.m."
Texas Associated Press Managing Editors Association Awards. First Place, Sports Column Writing, Class A Daily, 1998. McSweeney’s Treasury of American Humor Writing, Knopf, fall, 2004. William Hickok Fellowship for Creative Writing, Kansas State University, 1993.